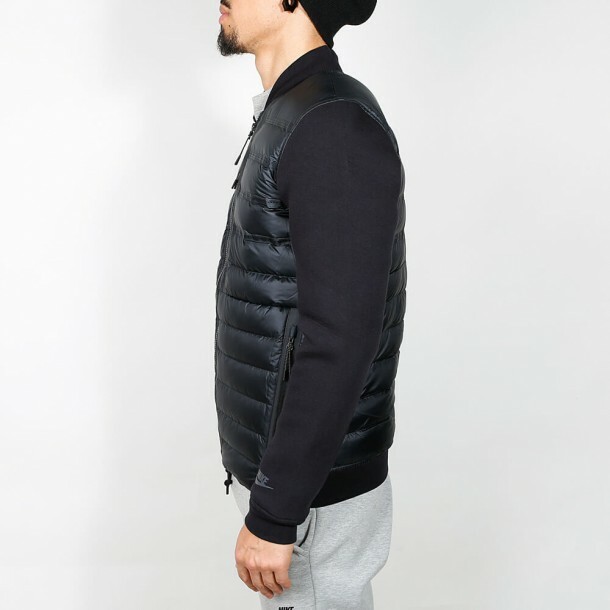 This uniform black bomber jacket for men out of the new Nike Tech Fleece Aeroloft Collection 2015 combines a minimalist design with the advantages of innovative technologies like Aeroloft and Tech Fleece which all in all makes it a functional cold weather allrounder. 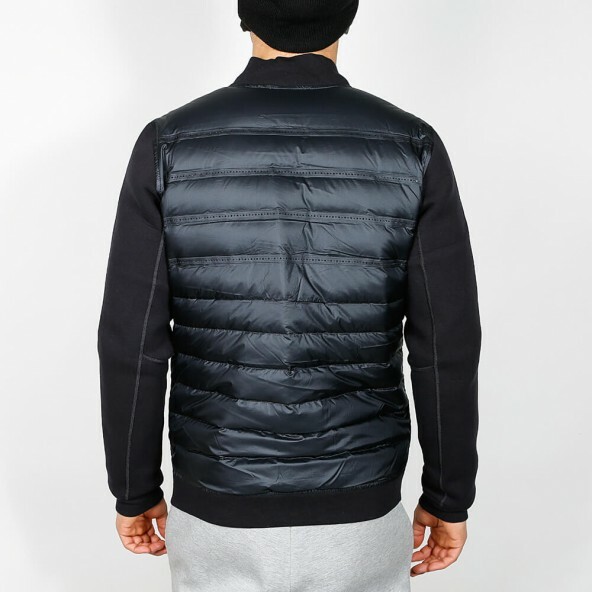 The coated down at the front and at the back of the jacket is showerproof, breathable and heat-insulating. 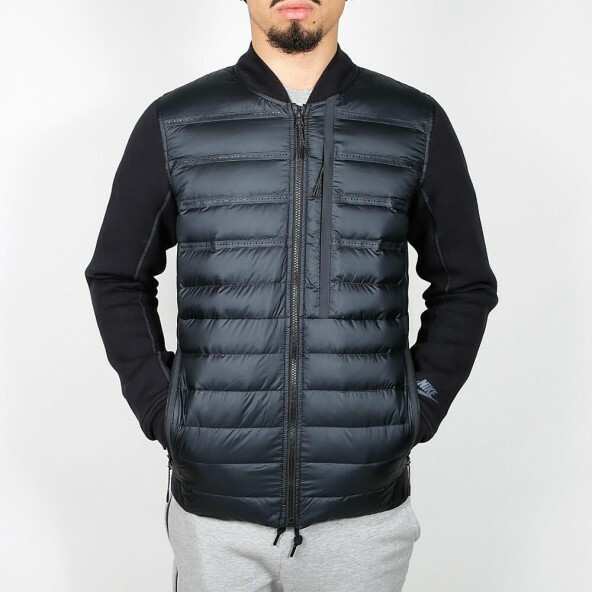 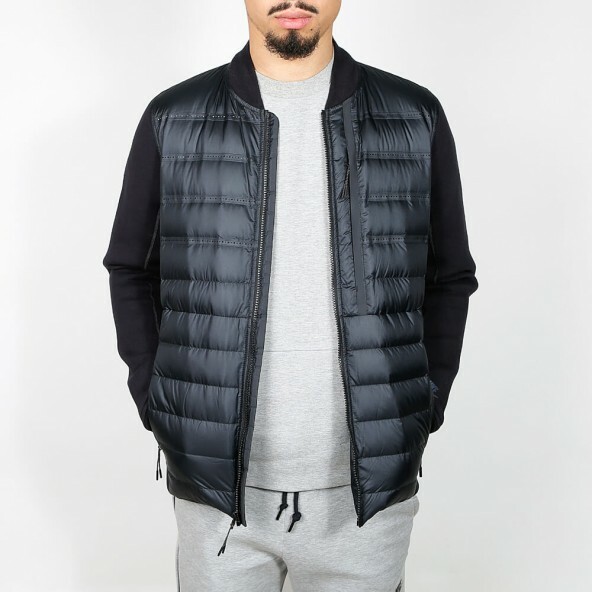 The light Tech Fleece material clings to your skin and accumulates heat in addition.